Rodrigo Duterte: Is the Philippines' outspoken president scaring away investors? 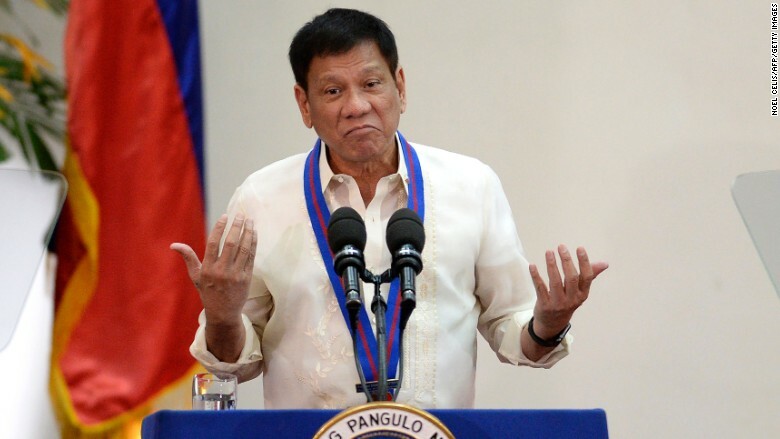 Is the Philippines' outspoken president scaring away investors? He's insulted world leaders, threatened to sever ties with the U.S. and started a war on drugs that has killed thousands of people. Now, fears are growing that controversial Philippine President Rodrigo Duterte, who took power less than four months ago, could destabilize the country's economy. Philippine stocks have slumped since early August, and the country's currency fell to its lowest level against the dollar in seven years this month. That's fueled concerns that Duterte's volatile rhetoric and unpredictable policy moves are driving investors away. "Certainly, investors are worried by some of the things he's saying, he's really unnerved people" said Mark Williams, chief Asia economist at Capital Economics. But it's too early to predict Duterte's long-term impact on the economy, he added. Despite the jitters, the Philippines remains one of the best performing economies in Asia, growing 6.9% in the first half of this year. And some economists say that will support the Philippine currency, the peso. "We expect the peso to rebound and end the year stronger than where it is right now," said Chidu Narayanan, Asia economist at Standard Chartered. The stock market has also rallied this week, gaining more than 4%. And the government says foreign funds are dumping Philippine shares at a slower rate than they were last month. The Philippine finance minister has blamed the recent volatility on the U.S. rather than Duterte's rhetoric, saying money has been sucked out of the country by a strengthening dollar and expectations of an interest rate hike by the U.S. Federal Reserve. A report this week by ratings agency Moody's listed a number of strengths in the Philippine economy, including robust consumer spending and stable inflation. But it also warned that "political risks have become less predictable." Adding to the uncertainty is Duterte's shift toward China and Russia and away from the U.S., an economy with which the Philippines is deeply intertwined. He's launched an obscenity-laden rant against President Barack Obama and threatened to stop joint Philippine-U.S. military patrols. This week, Duterte is on a state visit to Beijing with more than 200 Filipino business leaders, including some of the country's wealthiest tycoons. 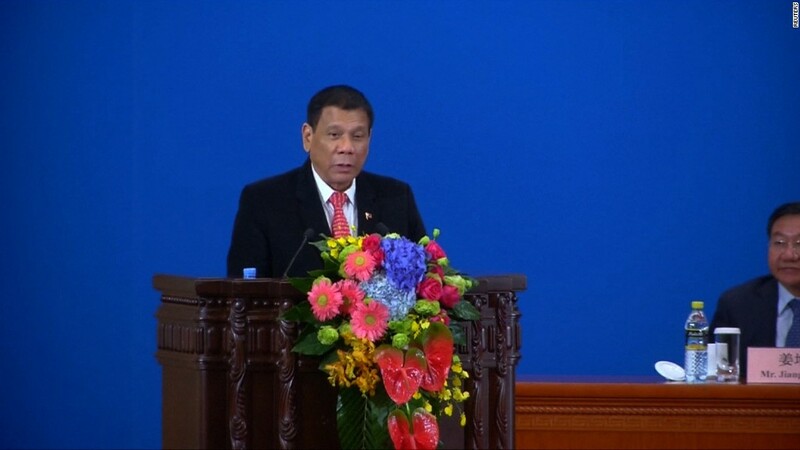 "We are ready to cooperate with you, to help us in building our economy and building our country," Duterte told Chinese state news agency Xinhua. Experts say he's playing a risky game. "If relations with the U.S. completely break down that would be a cause for concern, since there is a lot of U.S. investment in the Philippines," Williams said. "A pivot to China wouldn't help, since China is a relatively smaller investor." Trade in goods between the U.S. and the Philippines topped $18 billion last year, and U.S. companies have invested more than $4.7 billion in the Philippines. The U.S. also accounts for roughly a third of the $17.6 billion that Filipinos working overseas have sent home this year. But judging by Duterte's words, he doesn't seem to care. At a business forum in Beijing on Thursday, the president said he would break ties with his country's foremost ally, not just militarily but also economically. "I announce my separation from the United States," he said. "America has lost now."